In an effort to promote Assamese cinema which has an illustrious legacy of over 80 years, Prag Network, a pioneer in the field of Electronic Media in the entire North East India, once again organised the biggest mega event of the region - Prag Cine Awards North-East 2018 on May 26 and 27 last, at the Gauhati Medical College and Hospital (GMCH) Auditorium. The Prag Cine Award, instituted in 2003 by Assam and the North-East's first private satellite channel Prag Channel, endeavors to inspire and promote cinema in Assam by honouring the best talents of the Assamese film industry in different segments on the basis of selection made by a distinguished panel of jury members. Along with hot new directors and some gutsy producers, a new force in indie cinema had emerged in the State, making a major difference to the movie scene. For young directors wishing to make movies but lacking connections or cash, Sanjive Narain, the CMD of Prag News, and who founded the film production house AM Television, is a guru. For more than a decade, Narain has been launching new careers by helping young directors complete their films, as well as facilitating and securing for them proper distribution. Like the previous years, this time around too, the two-day event attracted a wide variety of films, contributing to cultural diversity and a broad spectrum of taste, as well as noted filmmakers and panelists. Altogether 32 films from Assam and the Northeast competed for awards in 29 categories. This year, the Lifetime Achievement Award was conferred on eminent theatre and cine personality Kulada Kumar Bhattacharjee for his outstanding contribution to the world of cinema in Assam. The award comprised of pholam gamucha, a cheque of Rs one lakh, a memento, apart from other accompaniments. 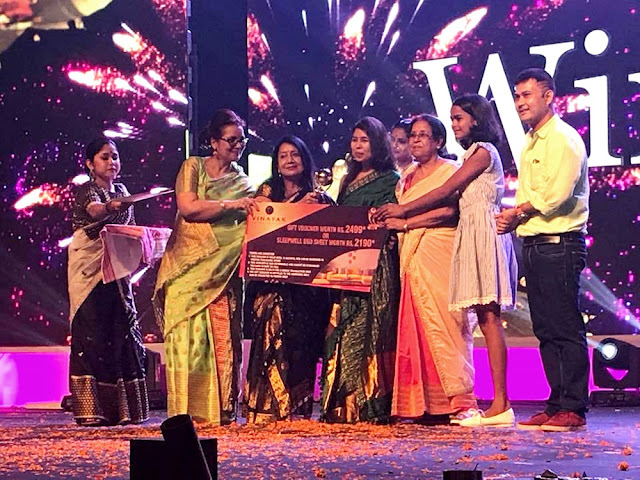 The award was presented to him by eminent filmmaker Jahnu Barua, popular Bollywood artiste Govinda, State BJP President Ranjit Das, the CMD of Prag News, Sanjive Narain, noted actress Malaya Goswami, noted journalist Pranoy Bordoloi, Kaushik Nath, Rajesh Sarma, Mintu Barua, Manju Bora, Hiranya Saikia, among others. It may be mentioned that Dr Bhupen Hazarikia, Jnanada Kakati, Abdul Majid, Nipan Goswami, Biju Phukan, Mridula Barua, Bishnu Khargharia, Bidya Rao and Munin Barua were honoured with the Lifetime Achievement Award in the previous years. The Assam-born prolific sound engineer, who has made a significant mark in the Hindi film industry, Debojit Sangmai was awarded the Global Icon Award. 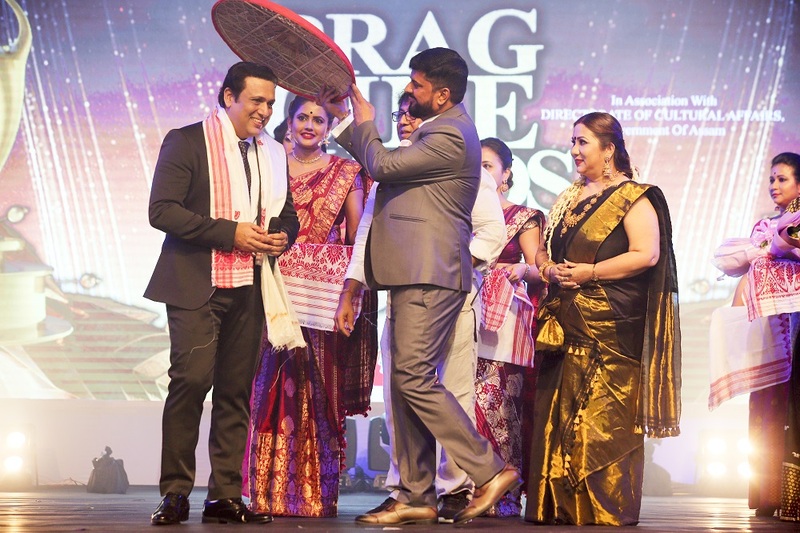 There was excitement in the air when Bollywood actor Govinda enthralled the crowds with his dance moves to the tune of popular Assamese numbers. The Best Film Award was bagged by Rima Das’s multi-award-winning ‘Village Rockstars’, while Utpal Barpujari won the Best Director Award for his film ‘Ishu’ with Himjyoti Talukdar winning the Best Debut Director Award for ‘Calendar’. The Best Actor Award (Male) was presented to Arun Nath for his performance in ‘Calendar’, while Bhanita Das won the Best Actor (Female) Award for her performance in ‘Village Rockstars’. ‘Calendar’ also fetched Himjyoti Talukdar, Santanu Rowmuria and Jhulan Krishna Mahanta the Best Screenplay Award. On the other hand, Pranjal Saikia bagged the Best Supporting Actor Award for his performance in the film ‘Priyar Priyo’ while Rimjhim Deka won the award for Best Supporting Actress for ‘Calendar’. The award for Best Music Director was grabbed by Michele Josia and Anurag Saikia for ‘III Smoking Barrels’. The film also fetched Shrirup Das the Best Make-up Award. And not surprisingly, ‘Village Rockstars’ also fetched Rima Das the Best Editing Award. 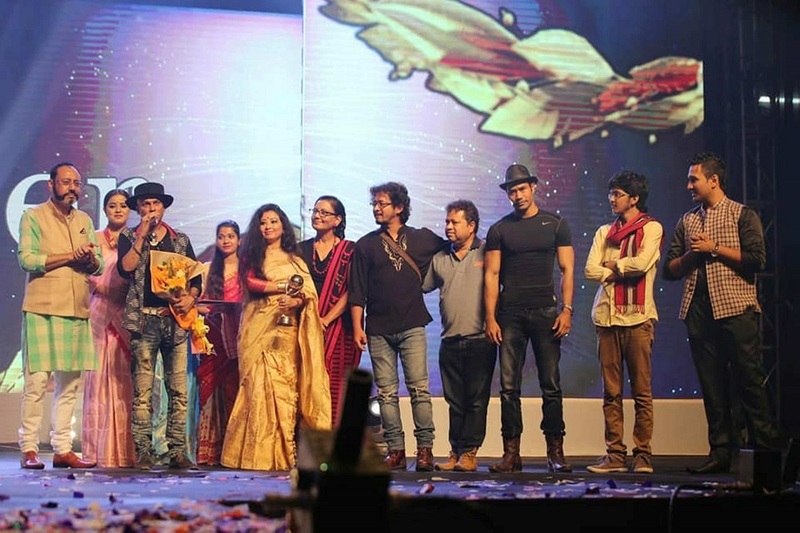 The Best Cinematography Award was won by Pradip Daimary and Suman Dowerah for ‘Mission China’, while Rani Dutta Baruah bagged the Best Costume Designer Award for ‘Ishu’, the award for Best Art Director was won by Kalpana Bora for ‘Calendar’ and Deepak Dey went on to win the Best Choreography Award for the song ‘Din Jole Rati Jole’ (‘Mission China’). 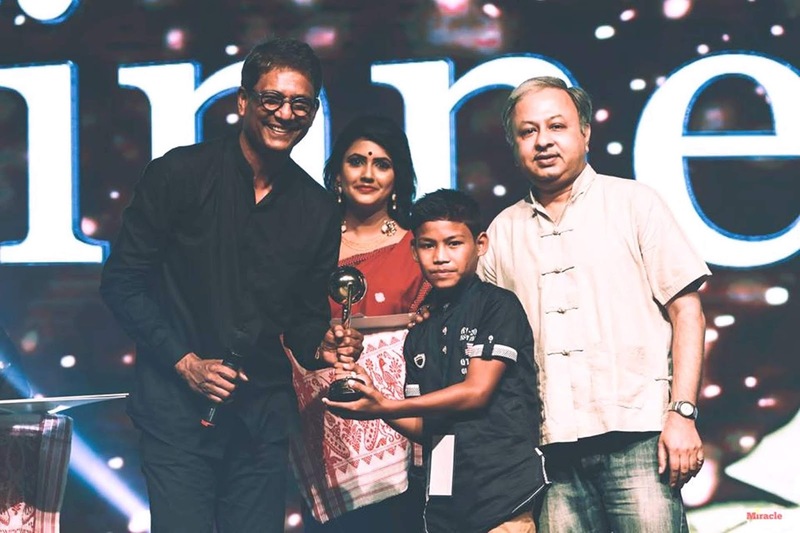 Tarali Sarma won the Best Lyricist Award for the song ‘Hothate Dekhu Jibone’ (‘Calendar’), while Siddhartha Hazarika won the Best Singer (Male) Award for ‘Calendar’ and Anindita Paul was presented with the Best Singer (Female) Award for ‘Ajanite Mone Mone’. The award for Best Sound Designing was won by the internationally known Amrit Pritam for his work in the movie ‘Village Rockstars’. In the popular film section, actress Barsha Rani Bishaya won the Best Popular Actor (Female) Award for ‘Tumi Ahibane’ and Zubeen Garg bagged the Best Popular Actor (Male) Award for ‘Priyar Priyo’ and ‘Mission China’ with ‘Mission China’ winning the Best Popular Film Award as well. Well-known film critic Mrinal Kumar Bora was presented with the Best Critic Award at the event. On the other hand, the award for Best Film other than Assamese was bagged by ‘III Smoking Barrels’, while the award for Best Actor (Female) Northeast was won by Manipuri actress Leishangthem Tonthoingambi Devi, popularly known as Tonthoi, for her performance in the Manipuri film ‘Iche Tampha’ and the Best Actor (Male) Northeast was bagged by Lhakpa Lepcha of Sikkim for his performance in ‘Dhokbu-The Keeper’. The award for Best Director was presented to Rupak Gogoi for the Hindi/Khasi movie ‘Gangs of North East’ and the Best Film Award was won by the Sikkimese film ‘Dhokbu-The Keeper’. The Jury’s Special Awards were handed to Kenny Basumatary for ‘Local Kung Fu 2’, Kapil Garo for ‘Ishu’, Basanti Das for ‘Village Rockstars’ and Munin Barua for ‘Priyar Priyo’. 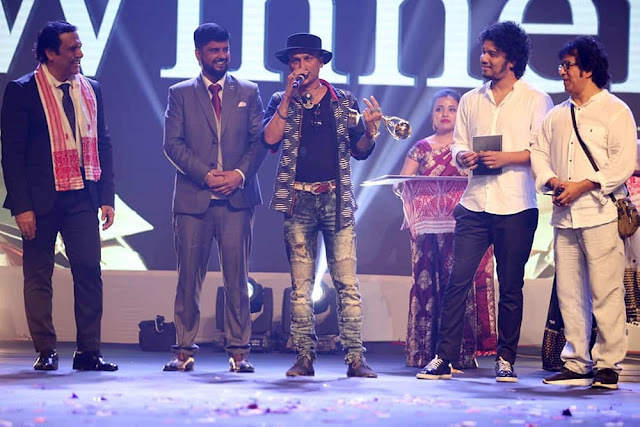 The awards show, compered by Barsha Rani Bishaya and Nishita Goswami, concluded with popular singers Zubeen Garg and Papon regaling the crowds with their hit numbers.